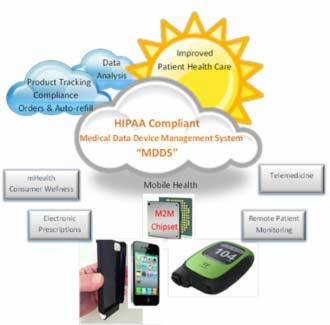 mTrio Blood Glucose Meter BGM - Pepex Biomedical, Inc.
mTrio® is designed to both improve test compliance and reduce the rate of user error complications of diabetes that is attributed to being the single largest component of healthcare cost for the disease. Pepex® exceeds the objectives of a rapidly growing diabetic population and ever demanding requirements of healthcare providers with the improved accuracy of its proprietary CCM® sensors modules, on a HIPAA compliant secure network, using wireless technology and the integration of cloud based predictive analytics. These features are provided through a tiered monthly subscription service that automates all of the provisioning, record keeping and performance analysis for the diabetic customer.